I am proud to be Latino and to see how much we have contributed to this country. From excelling in the best schools to creating start-up business and contributing to American culture through art and music we have an opportunity to re-elect President Obama and make sure our community continues to advance. Take this into account, there are 50 million Hispanic-Americans in the United States - our vote will decide this election. But only if we all fight to let everyone know how important it is for us to vote in November. President Obama believes that the efforts and talent of each person in the U.S. should determine their success no matter who their parents are or where their roots lay. I am proud to have a president who is fighting to fix the immigration system and provide those young people who arrived in the country when they were children an opportunity to be successful without the threat of deportation. I know that as long as he remains president he will not give up on this issue because he is committed to our community's needs and to do what is right. Help us today. 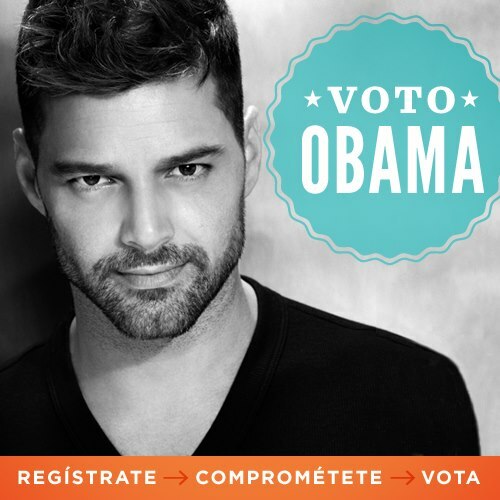 Visit BarackObama.com/Latinos to find out how you can register and vote. So sign up and remember: We are united but we can only do it together.